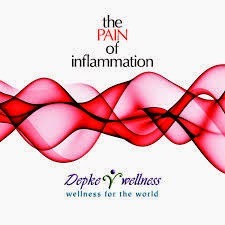 Welcome to week three of "The PAIN of Inflammation." Week two is typically one of the most challenging weeks on the program and this showed for a few participants. This is most often due to those fighting some type of pathogen in their gut that typically have been there creating havoc for some time. Unfortunately, these pathogens often go undiagnosed and lead to a host of physical and mental/emotional health issues. Thankfully this is being addressed for you right now. Week three is a continuation of the gut support phase with of course the continued anti-inflammatory and immune support. Be sure to incorporate the Nutritional ID percentages but remember, the allowable/avoidance food list trumps your Nutritional ID and be sure to eat often enough and enough food so you do not experience hunger. Also be sure to work in your fundamentals of health. Collectively everything you are focusing on will play a role in you reaching your desired state of health and happiness. Lastly, remember to cut back on the GI Synergy if needed as directed in this week's webinar. Week three supplements are the same as week two. I am excited for you to move through the gut support phase this week and continued success for all. Please assess your Nutritional ID here. I am struggling with avoiding foods which is wierd because a lot of the foods I already avoid. I miss read the list and was eating eggs the first 2 weeks. I travel and some times I do not have a large choice and have to eat what is available and eggs were my go to. Are these foods we have to avoid from now on or just the 6 weeks? Is Jicama out since it is from the bean family? These are foods to avoid during the 6 week program. At the end we will slowly reintroduce these while looking for reactions. The Jicama is fine to eat.